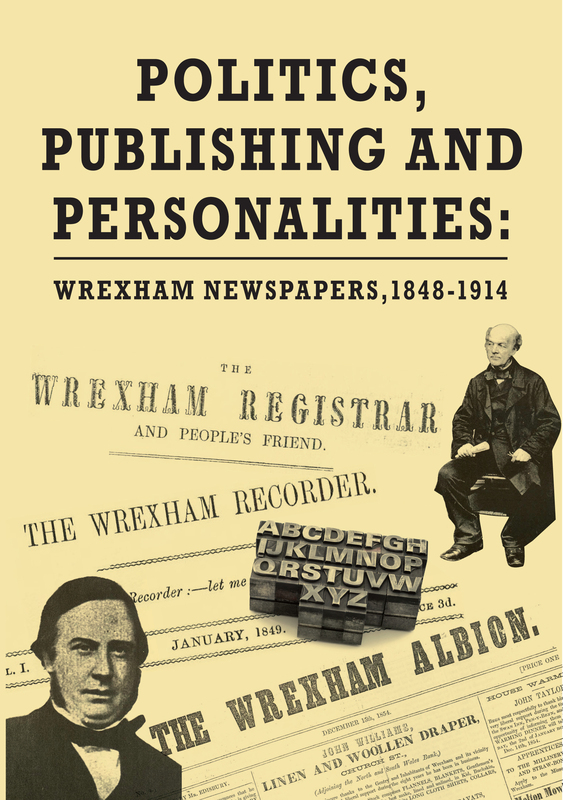 Politics, Publishing and Personalities: Wrexham Newspapers, 1848-1914 gives a unique insight into the world of provincial newspaper publishing in a North Wales town during the Victorian and Edwardian eras. Wrexham’s position on the Welsh border meant that its local newspapers had to compete with those from Shropshire, Cheshire and the rest of North Wales and this rivalry, together with differing political allegiances, often led to conflict between proprietors in the effort to gain the highest circulation. Politics, Publishing and Personalities draws together the battles to establish successful titles against the backdrop of British and Welsh politics and reveals the personalities involved in this microcosm of local society. (written by Lisa Peters), by Andrew Hobbs (University of Central Lancashire) in Victorian Periodicals Review, Volume 45, Number 2, 2012. This accessible volume is based on the author's University of Wales, Aberystwyth, PhD dissertation, which comprised a micro-history of newspaper publishing in Wrexham, a small town in northeast Wales, across the border from Chester, where Lisa Peters is a university law librarian. It is the first publication from the revitalised University of Chester Press. All PhD students should be made to condense their dissertations into a similarly readable, well-illustrated seventy-two-page general-interest book ... This is chiefly a local-interest book, but its academic pedigree makes it a useful addition to the long list of single-place and single-title histories of the provincial press from which a national synthesis can eventually be written.